Posted on February 7, 2019 at 2:57 pm. Annual Enrollment Period (AEP) (also known as Medicare Open Enrollment Period) ended on Dec.7, but there are still plenty of opportunities for some individuals to make changes in their Medicare health plans. Two immediate options are Non-Renewal SEP (Special Enrollment Period) and Medicare Advantage Open Enrollment Period (MA OEP). Once in Original Medicare, beneficiaries are entitled to a Medicare Supplement Plan (Medigap). 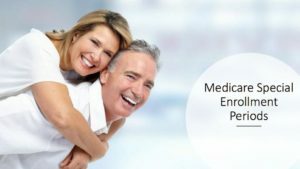 Moreover, you’ll have Guaranteed Issue Right allowing you to buy Medigap Plans A, B, C, F, K or L sold in your state by any insurance company without medical underwriting. In other words, you may enroll even if you have health problems. Annual Medicare Advantage Open Enrollment Period runs from January 1st through March 31.
to leave their Medicare Advantage plan, return to Original Medicare (Part A and Part B) and join a stand-alone Medicare Part D plan. Members can only enroll in a new Part D plan if they have disenrolled from a Medicare Advantage Plan. People who are using MA OEP to return to Original Medicare will be entitled to purchase a Medicare Supplement Plan if they choose, but this is not Guaranteed Issue Right. What do you think about After AEP: Non-Renewal SEP and MA-OEP – 2019? Write your comments.